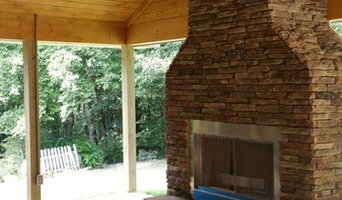 At Mullins Remodeling, we are committed to superior quality in every detail of your project. As an owner operated business, I, Marty Mullins, am on site every day, coordinating production and professionals to maximize efficiency and maintain quality, integrity and attention to detail and open communication which has been our keys to success for over 15 years. I emphasize a "Client First" attitude and give my clients a "hassle free" remodeling experience. Art of Stone provides creative stonescapes and sustainable landscapes throughout the North Georgia area, but it’s more than that. As a small company, the enduring beauty and success of your garden is our focus. For that reason, we create outdoor spaces that blend and flow with the land, not fight it. We believe in building healthy gardens that are easy to nurture and thrive in the years to come. 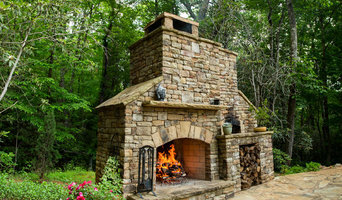 Specializing in outdoor kitchens, fireplaces, water features, ponds, patios, retaining walls, paths, stone steps, landscape design and installation, and garden design, Art of Stone’s one-of-a-kind approach is an investment in your property that will last. With more than 30 years of collective experience in the design, construction, and maintenance of breathtaking stonework and gardens, Suzanne and Jason work as a team to bring your vision to life with expertise and passion. Brothers Keith and Geoff Cook founded Cook Residential by building on their collective experience in real estate development and construction. 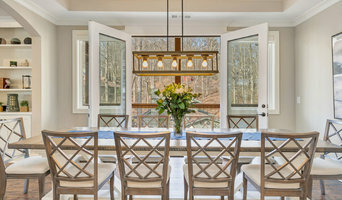 In that time, Cook Residential has grown into one of the most respected homebuilders in North Georgia by focusing on long-standing relationships, quality craftsmanship, and exceptional customer service. Come Home to Cook — Your Dream Home Each client is unique; so is each home. For more than 20 years, the core value at the heart of our projects has been client satisfaction. We have found the highest expression of this in customization—designing and building a home that enables your lifestyle. Close your eyes, and imagine standing inside your new, custom home. Our designers are here to bring that dream to life. From land to linens, we can help you each step of the way. Instead of spending countless hours viewing pre-owned homes, contact us today – we are ready and eager to help you obtain a more in-depth understanding of custom home building. In addition to custom home designs, Cook also has many incredible homes and house plans for our clients to browse. Let us help you take the first step to making owning a new construction home a reality. Creative custom woodworking is our passion. We strive to create interior spaces that are representative of the people that inhabit them. Whether it's an entire room in your home or a single furniture piece we work hard to create the absolute best environment that you will enjoy for years. With a mixture of modern tooling and highly skilled craftsmen we continually stretch the envelope of creativity to provide our clients with unique wood based creations. And we have fun doing it. Creative, organized quality is our focus. House Dressing is a full service Interior Design Firm specializing in residential and commercial design. Along with our studio, we offer a retail showroom with fine furniture, antiques and accessories for the home. We are located in downtown Gainesville, Ga.
*Hunter Douglas Authorized Dealer* "We set the standard in personal service". We are an Atlanta based Hunter Douglas Window Covering Gallery. Locally Owned and Operated since 1999. A+ Rated by BBB. Our business has been recognized as leading the way in categories of both service and product knowledge. Our team works to provide the most sound advice for both residential and commercial projects. In addition, our service after the sale is second to none. Try us... you'll see why a large number of our clients are either repeat business or personal referrals! Offering Design and Build solutions for all types of home remodeling projects. From concept to completion Artisan Remodeling & Renovation is a single source specialist. Our approach to personal service and attention to detail will ease the stress of designing, budgeting and building a dream kitchen or bath. Beautiful and timeless renovations are completed with a team of experienced, imaginative and highly skilled craftsman. Professional Real Estate and Vacation Rental Photography. Website Development and SEO Expert. Photography for Interior Decorators, Home Stagers and Remodel Experts. FAA Certified and approved commercial drone operators. Home staging. Principal Stager and Owner of White Dog Home in downtown Gainesville, GA. Offering Occupied and Vacant Home Staging, ReDesign, Senior Move Management and Downsizing Services. But before you start sending out dozens of emails and making phone calls, sit down and think about your project. What's your budget? What is the scope of your project? Will you need more than one type of professional to complete your home improvement project in Gainesville, GA? Can you afford to complete the full project now, or should you tackle it bit by bit? Once you've settled on your project’s priorities, budget and scope, it's time to start researching Gainesville, GA home design professionals. Don't sell yourself short and settle on the first professional you set your sights on. Make sure that you're working with someone local, who can get to the jobsite easily and efficiently. Look into the person’s reviews, ask to speak with former clients and to see previous jobs in person. Take a good look at their portfolio photos: How similar are these projects to your own? Be honest — that mansion might look beautiful, but it might not have a lot in common with your little bungalow. Reach out to multiple professionals — especially for larger projects — and don't settle for the first bid you hear. Comparing multiple Gainesville, GA professionals' bids and experiences can help you find the one that’s best for you. Ask a lot of questions now, so you won't have unexpected answers later. Find a home design professional on Houzz. Narrow down your search by type of professional and location. 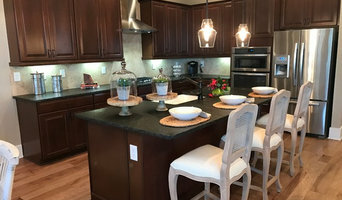 Browse Gainesville, GA portfolio photos, read client reviews and contact each Gainesville, GA professional for more information. Check out the information in the specialized professional sections too for tips on how to hire the right professional for your project.